No 14 rides the sky again! 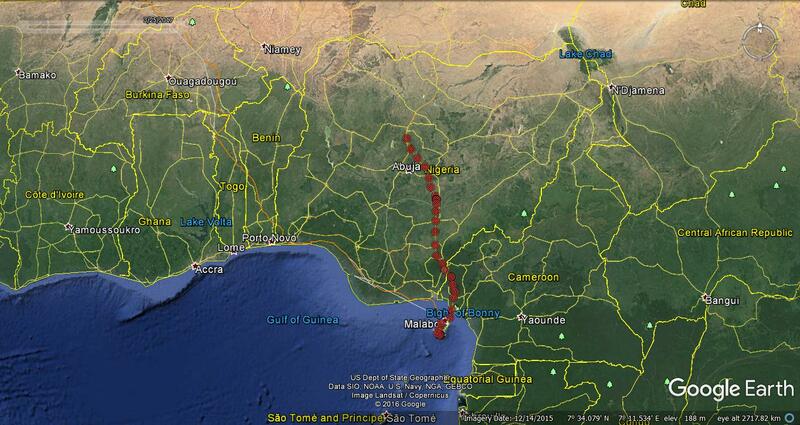 At last No 14 has started his return journey heading nearly due North from Bioko into Nigeria, as he has done before. There are some areas of water there for him to fuel up before the Sahara crossing. 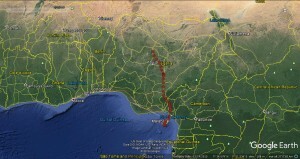 He started on March 23rd and reached the area near Abuja on the 25th, so he should be flying over sand by now. All fingers and toes crossed for him! This entry was posted in Uncategorized by Lake District Osprey Project. Bookmark the permalink.